NEW ZEALAND FOR OUR TYRE SUPPLIES. 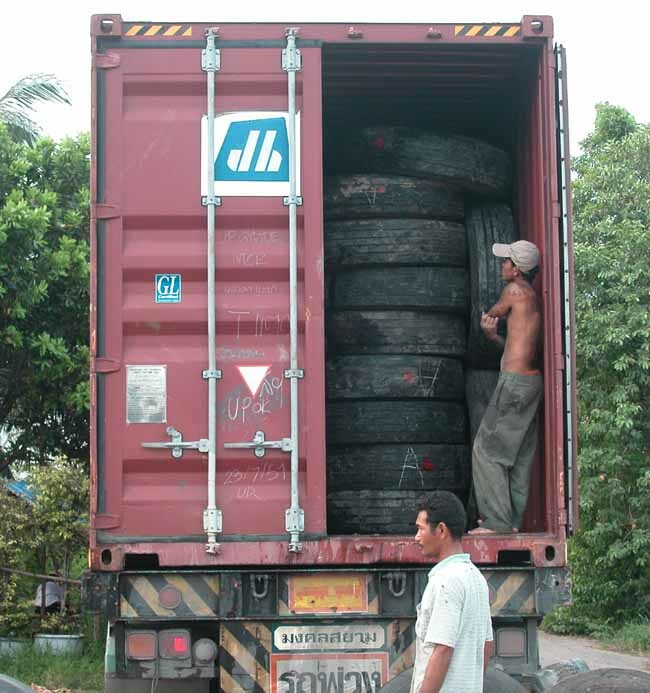 We ship full container loads of truck and bus tyres with min to lfull retread tread to NZ from Thailand. We are looking for buyers for our Truck and Bus tyres and can supply with your needs Recaps, retreads, new casings and new tyres for Trucks and buses. 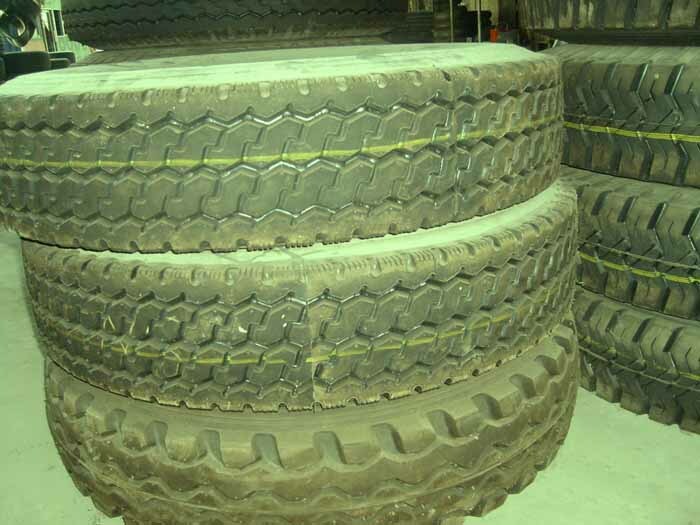 TRUCK AND BUS TYRES GRADE "A"
1. This grade casing has not been previously retreaded, remoulded or repaired with a section. 2. This grade casing has at least 1/32" of original groove tread depth remaining. 3. This grade casing has not been regrooved. 5. No more than 2 nail holes in Nylon tire casing and more than 1 nail hole in Radial tire casing. 7. No deep tread cuts by sharp rocks, glasses, metals, etc. for damaging nylon or steel cords. 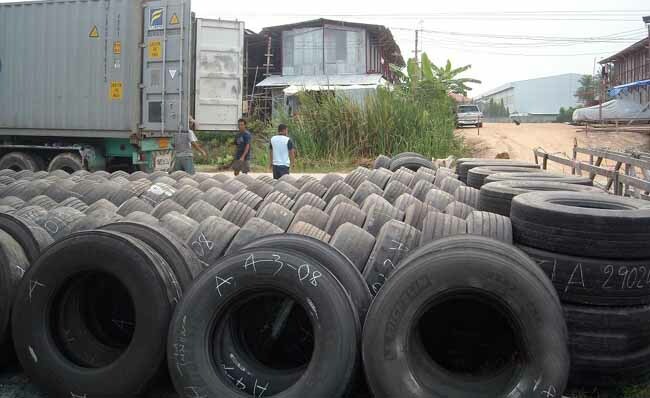 TRUCK AND BUS TYRES GRADE "B"
5. Maximum 4 nail holes but not grouped together in nylon tire casing and maximum 2 nail holes in radial tire casing. 6. Penetrating injury is less than 6mm.